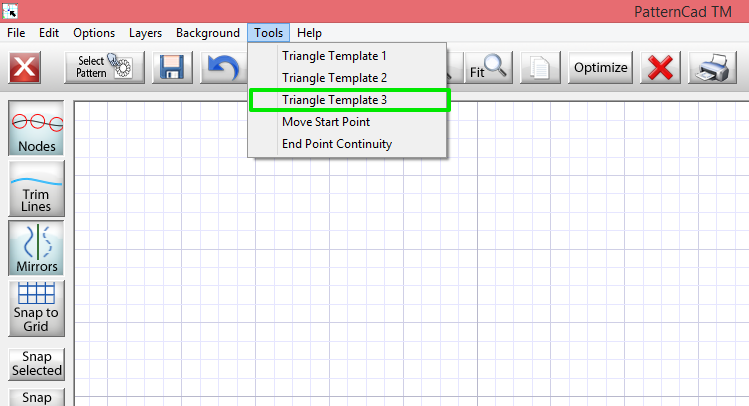 We will be using the information that we used in Triangle Template 1 and Triangle Template 2, in this tutorial. 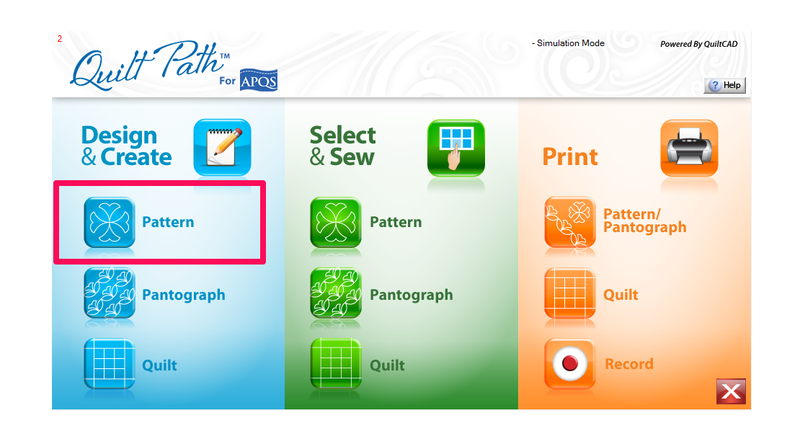 On the Quilt Path Home Screen, tap on Design & Create - Pattern. On the File Menu Bar, tap on Tools. Tap on Triangle Template 3. In this template you will notice you have two green lines. A bold line on the left of the triangle and a lighter green line on the right. 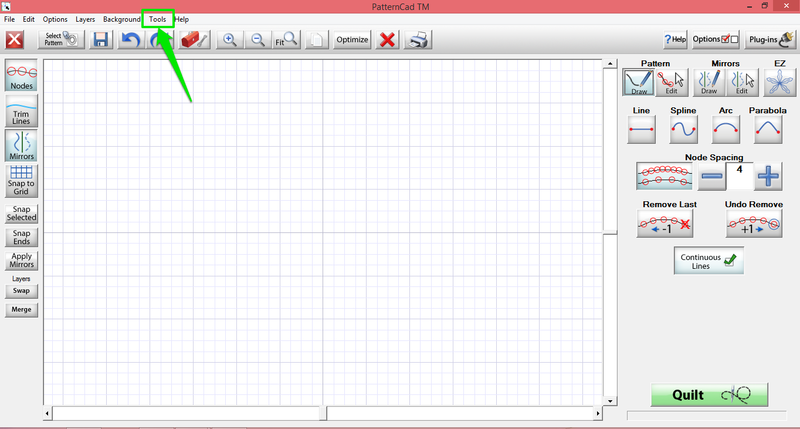 We will be drawing next to the bold line on the left in the bottom left small triangle. This is a double mirror so we will get 3 repeats of our design. We will be drawing an Arc line from the top of the small triangle to the bottom left corner. Remember that you will want your Node Spacing off and Continuous Lines selected. The directions on how to do this are in the Triangle Template 1 tutorial. 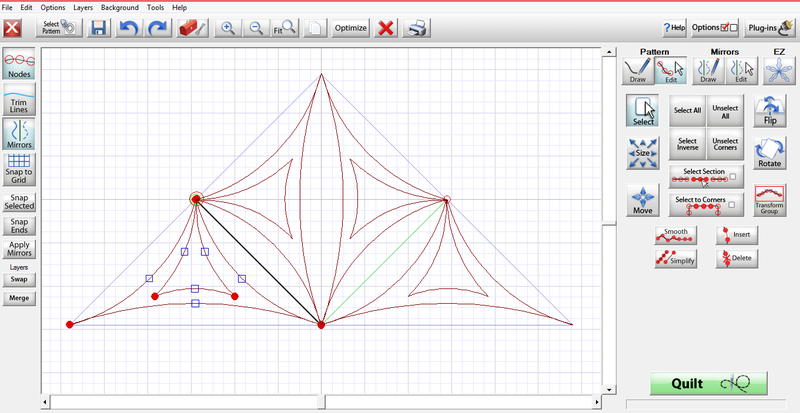 Once you have the three Arc lines drawn we will want to got to Edit under Pattern, on the right panel and select all. You will need to be viewing nodes to see the arc handle. 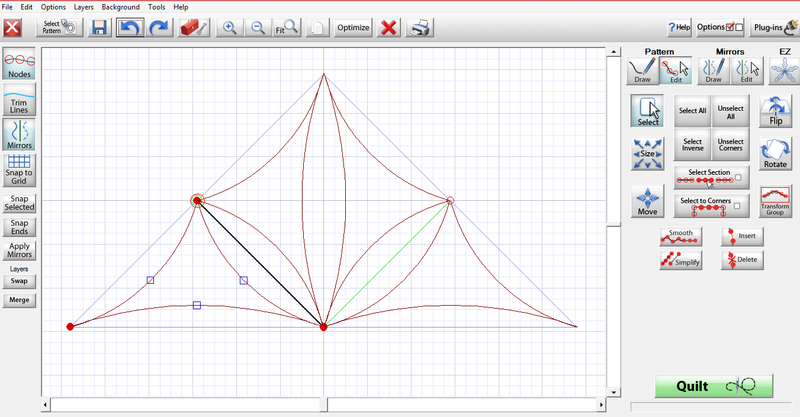 When you select and pull the lines in the bottom left triangle, all of the reflections of that like will also curve. 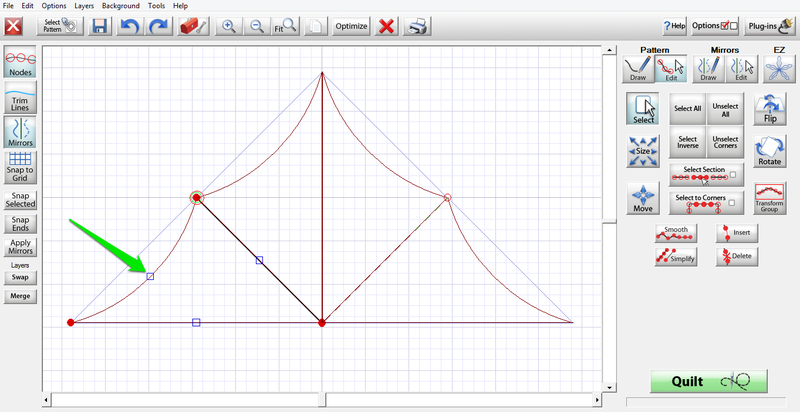 When you curve all three lines, you get a continuous curve design. 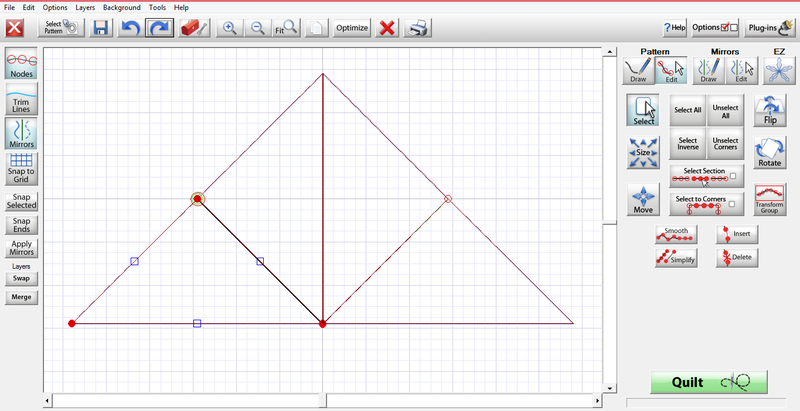 You can also double the triangles by adding and curving a small triangle inside the first triangle. 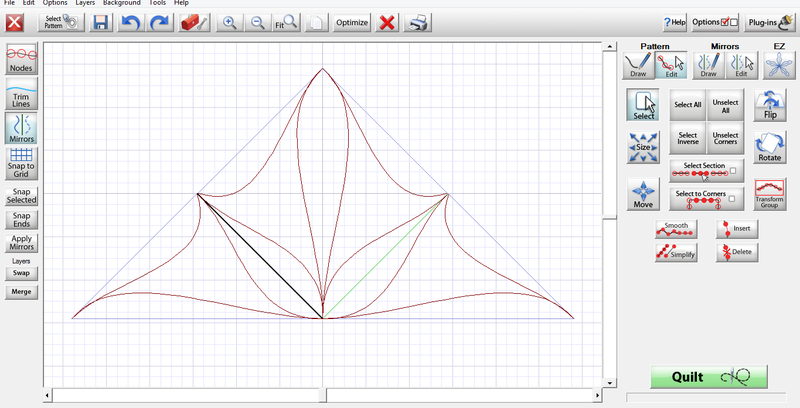 If you want a curvier line, use a Spline line. You can also draw your own designs. For a printable version of this post, CLICK HERE! This post was first published on www.ThreadWaggle.com.